The Indian Premier League team from the Pink City in Jaipur will flaunt ‘vibrant Pink’in the IPL 2019. 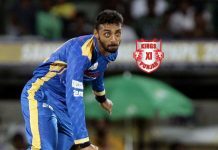 After making a refreshed entry back into the Vivo Indian Premier League (IPL) last season, the re-energized Rajasthan Royals are back in pink of health for IPL 12 – literally. The new pink jersey signifies their Pink City origin, along with the various other pink elements in Rajasthani culture. The jersey has the JK Lakshmi Cement logo out in the front. India’s leading cement major has partnered with the Royals for the second consecutive season as the title sponsors. With this transition to pink, Rajasthan Royals is all set for a cracking show under the stewardship of captain Ajinkya Rahane and is charged up for the upcoming tournament. In fact, inspired by the impactful association with the Rajasthan Royals during IPL 2018, JK Lakshmi Cement launched a new brand named as JK Sixer Cement – a product which attributes the winning strokes to all class of constructions like the most scoring shot in cricket. The theme of cricket captured in the JK Sixer cement was well appreciated in various markets. In this season’s renewed association between JK Lakshmi and the Royals; logos of JK Sixer – the official sponsor in the current season of IPL 2019, will flash on the back of helmets and caps of the squad. The team’s inherent strength, killer instinct, Buland Soch, coupled with fast improvisation in its strategy is in sync with the philosophy of JK Lakshmi Cement Ltd., Dr Chouksey asserted. 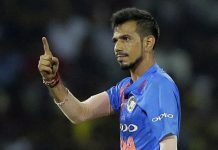 “Rajasthan Royals have shown the unmatched temperament last season and this year, it will come forth as a strong contender for the championship,” he said. The Royals’ team which had experimented with pink during practice sessions and even played a game last season, has now switched from blue to pink as the prime colour this season.